Roses are a symbol of love and beauty, and while some people may think that they seem old-fashioned, roses come by that honestly. 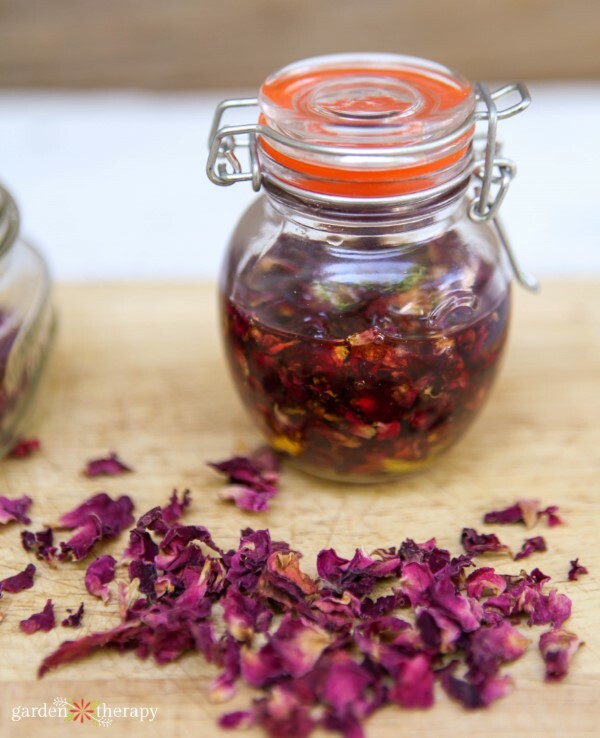 Early use of rose as an aromatic herb in the bath, as decoration, and to flavour wine, dates back to ancient Persia. 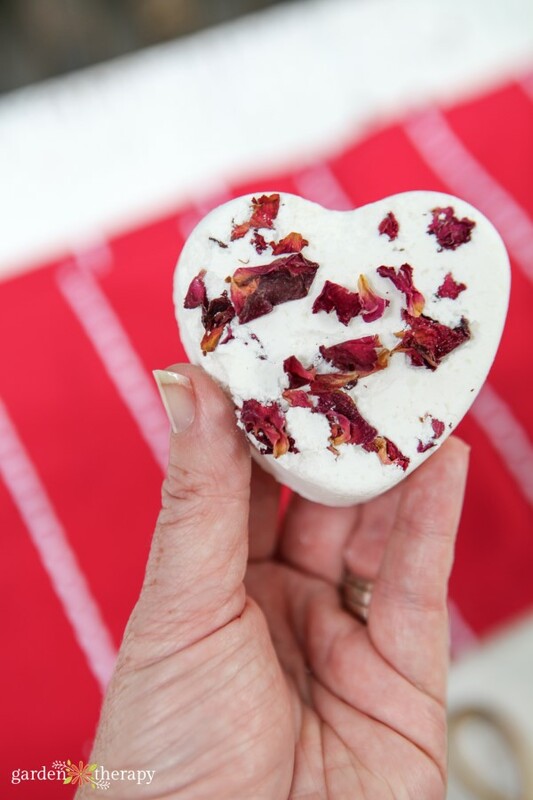 Today’s recipe for rose petal bath bombs takes that luxury from the past to create a romantic spa experience for modern times. In 1582, Persian princess Nour-Djihan and the Emperor Djihanguyr’s wedding was filled with the aroma of roses from the canal circling the whole garden that was dug out and filled with rose water. Legend has it that the bride and groom were rowing on the water and observed that the heat of the sun separated the water from the essential oil. 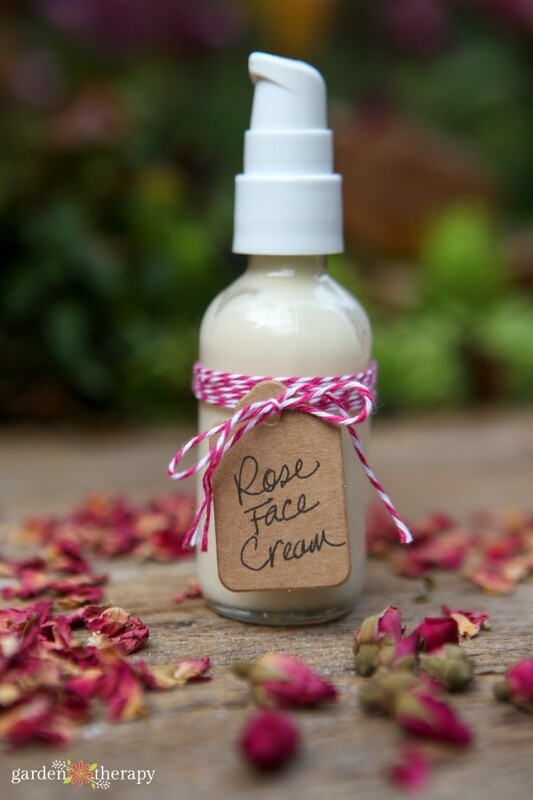 That’s when distilleries in Persia began bottling and selling rose perfume, Otto of Roses. 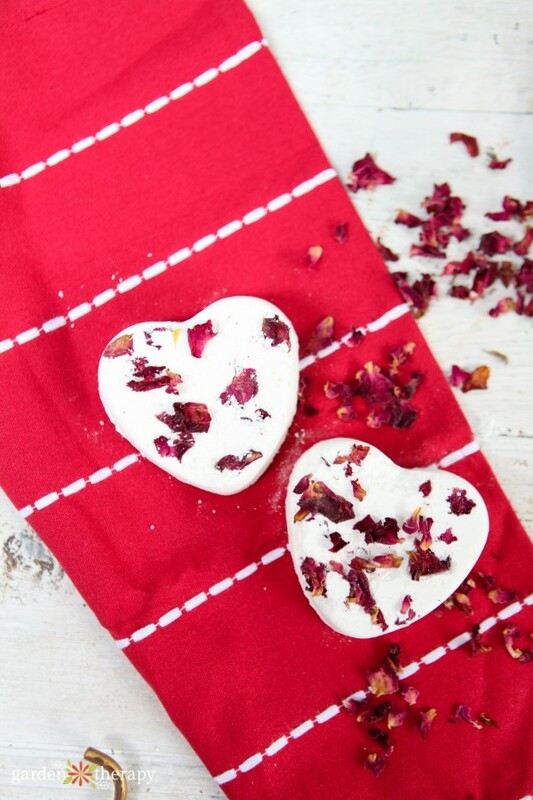 These heart-shaped rose petal bath bombs are just the right size to create a heavenly bath experience in the comfort of your own home, no elaborate rosewater filled canal needed! 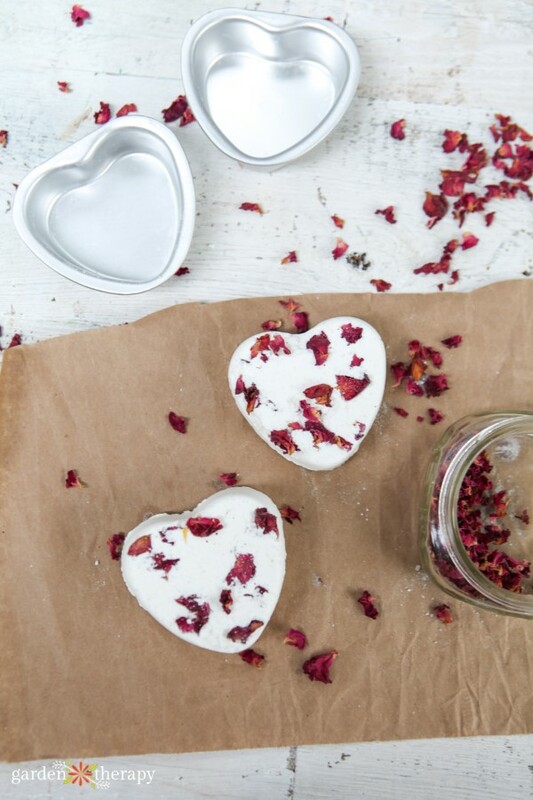 The bath bomb dissolves and bubbles in the tub it releases the fragrance of rose into the air, softens the water, and allows the red rose petals to float on the surface creating a very special, multi sensory bath experience. 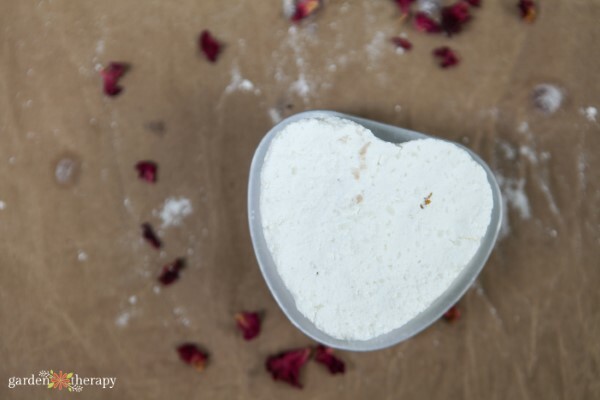 Using heart-shaped decorative molds topped with dried rose petals makes these bath bombs perfect for gift giving as wedding favors, shower gifts, and a luxurious Valentine’s treat. 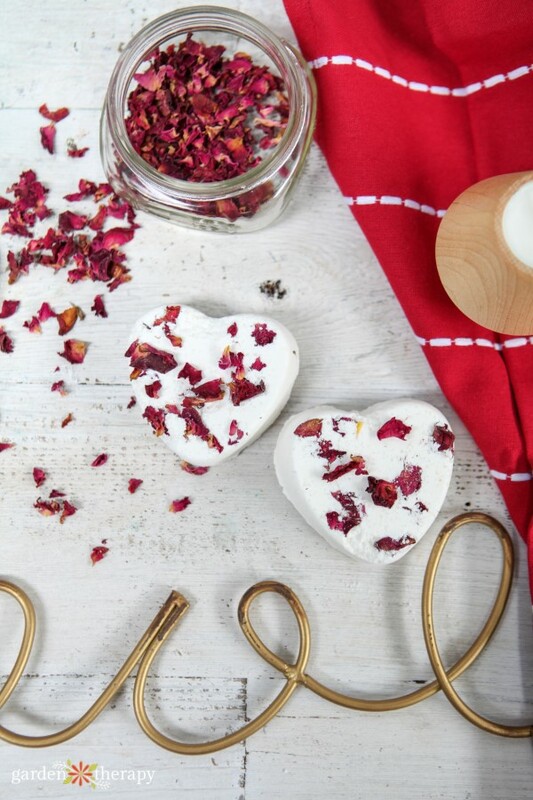 Even if the aroma isn’t your cup of tea, the idea of beauty and romance stands the test of time when it comes to roses. You can customize the scent in this recipe however you choose. I added red petals as the red rose is a ubiquitous symbol of romantic love and deep red, velvety colour symbolizes exquisite beauty. But again, choose what you love. 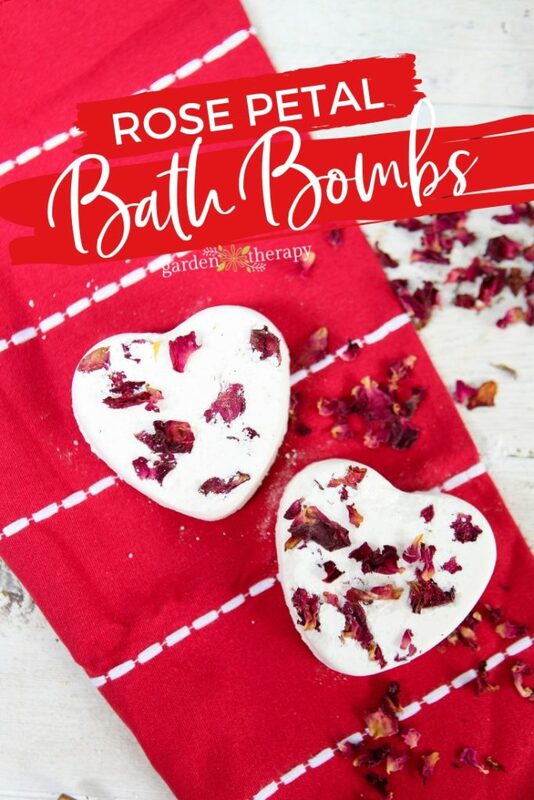 No matter how you customize it, these rose petal bath bombs are a way to create that luxurious bath experience to truly pamper yourself or your sweetheart. In a large bowl, measure in the dry ingredients and mix well. Add the essential oils and mix again. Using a small spray bottle filled with witch hazel, spray the surface of the powder with 6-8 sprays. Working quickly, mix the witch hazel in using your hands. Add a few more spritzes of witch hazel on the surface at a time and keep using your hands to blend it together rapidly until the mixture has the consistency of damp sand. It should feel dry but hold together when formed into a ball with your hands. 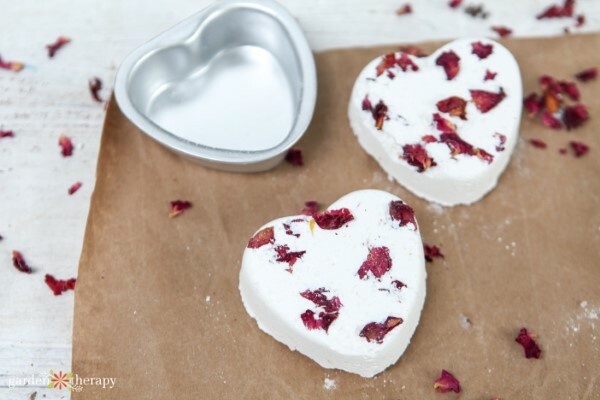 Add the rose petals to the mold and give a quick spray of witch hazel so they adhere to the bath bomb. Firmly press mixture into mold. Press into all the grooves of the mold with your thumbs, and keep topping up the mix until you have no give at all when pressing. You really want to pack the mixture in there tightly. Smooth the back of the bath bomb so it is not higher than the top of the mold. Gently tap the mold so that the bath bomb releases and carefully lay on a tray to dry. Let the bath bombs dry undisturbed for 24 hours.